Some great thoughts I'd like to share from the brilliant folks at IDEO. In this episode I take a look at some of my major learnings in developing a brand online from scratch over the past 3-5 months. I also take a look ahead and talk about what I'll be focusing on over the next 3 months too. 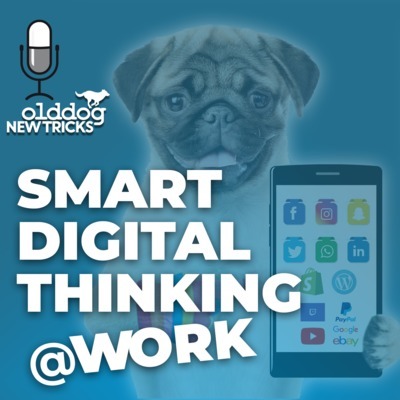 In this episode I look at three different ways you can manage your social media posts - whether you are doing just a few - or lots and lots of them. 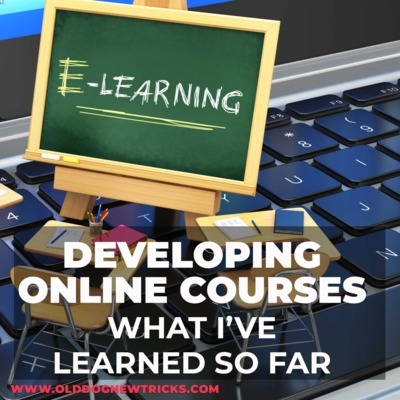 I've been involved in the development of online course content for some of the worlds biggest brands - so I thought it might be helpful to pass on some of what I've learned over the years for people who are just starting out. 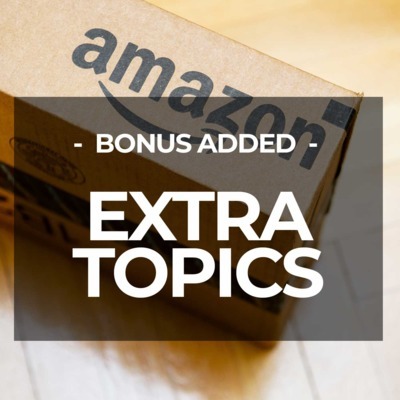 This episode is designed to give you some thought starters if you are about to embark on developing a course for internal corporate use - or if you are developing a course to sell online. Even if you’ve done you’re a brilliant job… and picked the perfect high-demand/low-competition product to sell on Amazon, you still have to let the world know about it. And this means advertising…,. and advertising costs money… and therefore will impact your profit margin. So… why advertise? The reality is that… even with good products and reviews… a lot of your business success will come down to the velocity of your sales. So.. you can save by not advertising… but you will likely sell less items per month… or you can spend money on advertising and significantly boost your sales rate. 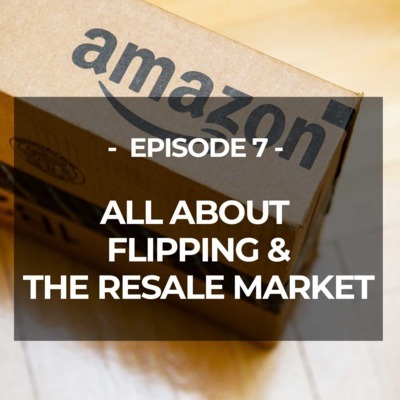 In this final podcast (and Youtube video) I will be talking about flipping - with a focus on selling on Amazon. With the aim of demystifying it for people considering it. 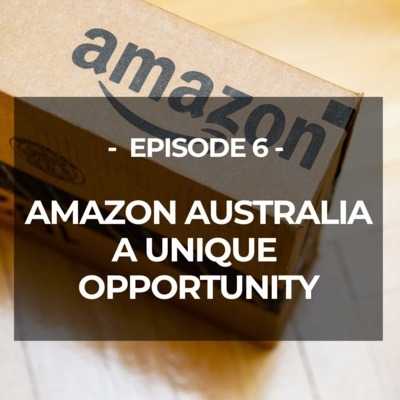 In the series I'll cover the following topics: Part 1: Getting started and an overview of the different online selling options Part 2: Standalone sites (like Shopify) vs marketplace selling (like Amazon) Part 3: Top 7 - Sourcing products from countries like China Part 4: The upsides and down of Fulfilment By Amazon Part 5: Top 7 - Things to remember when choosing what to sell on Amazon Part 6: Why Amazon Australia is a big opportunity right now Part 7: Making money from flipping or the resale business You can see the videos on my Youtube channel at:www.youtube.com/channel/UCcgeRyOhzAZ7olFseJHVsQg/videos?disable_polymer=1 Or you can check out lots of great information at www.olddognewtricks.com. Comments always welcome - and feel free to suggest topics that I could cover in the future. 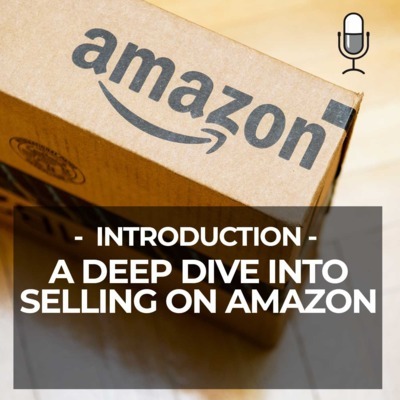 In this podcast (and Youtube video) series I will be talking about selling online - with a focus on selling on Amazon. With the aim of demystifying it for people considering it. 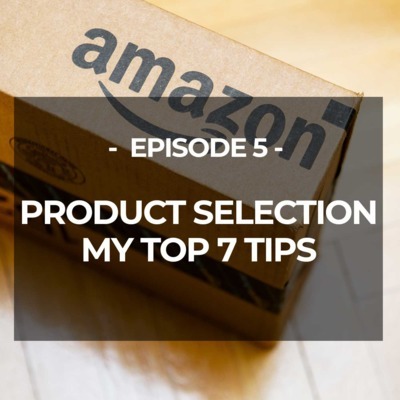 In the series I'll cover the following topics: Part 1: Getting started and an overview of the different online selling options Part 2: Standalone sites (like Shopify) vs marketplace selling (like Amazon) Part 3: Top 7 - Sourcing products from countries like China Part 4: The upsides and down of Fulfilment By Amazon Part 5: Top 7 - Things to remember when choosing what to sell on Amazon Part 6: Why Amazon Australia is a big opportunity right now Part 7: Making money from flipping or the resale business You can see the videos on my Youtube channel at:www.youtube.com/channel/UCcgeRyOhzAZ7olFseJHVsQg/videos?disable_polymer=1 Or you can check out lots of great information at www.olddognewtricks.com. Comments always welcome - and feel free to suggest topics that I could cover in the future. 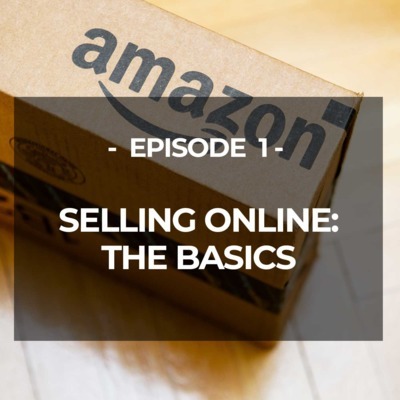 In this video and podcast series I will be talking about selling online - with a focus on selling on Amazon. 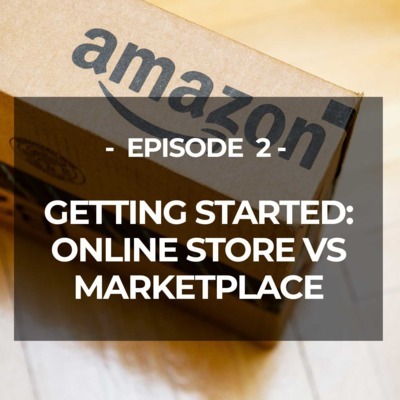 In the series I'll cover the following topics: Part 1: Getting started and an overview of the different online selling options Part 2: Standalone sites (like Shopify) vs marketplace selling (like Amazon) Part 3: Top 7 - Sourcing products from countries like China Part 4: The upsides and down of Fulfilment By Amazon Part 5: Top 7 - Things to remember when choosing what to sell on Amazon Part 6: Why Amazon Australia is a big opportunity right now Part 7: Making money from flipping or the resale business You can see the videos on my Youtube channel at: https://www.youtube.com/channel/UCcgeRyOhzAZ7olFseJHVsQg/videos?disable_polymer=1 Or you can check out lots of great information at www.olddognewtricks.com. Comments always welcome - and feel free to suggest topics that I could cover in the future. In past videos and podcasts I’ve talked about how dropshipping works. If that’s something you are interested in… I thought it would be good to add a new episode with some advice on what NOT to dropship. 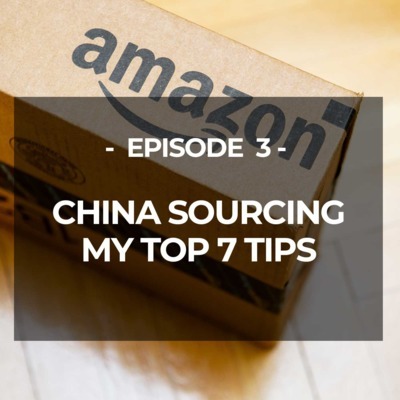 Today I'm going to be warning you about some items that you should avoid… and not dropship from sourcing and drop shipping sites like AliExpress, especially if you are a newbie. Some of these items will lose you money… because they're basically doomed to fail from the start. And the other items will potentially lose you money because of disputes, refunds and chargebacks. I got most of this information from a site called Wholesale Ted – and they have lots of great information on dropshipping and sourcing from overseas. You can profit From China’s Growing Upper Class — Even If You Don’t Speak Chinese When I lived in China, most Chinese people were poor compared to their American counterparts. People were considered well off if they owned a car or had an apartment with hot water on demand. In China, the wealthy class has ballooned. China is now in second place, after the U.S., for the most ultra high net worth individuals. And the wealthy class there is expected to keep on growing, with the number of Chinese millionaires expected to surge 41 percent to 2.7 million by 2022. This means that there are lots of Chinese people in the market for goods and services their parents couldn’t afford. Laptops are getting smaller and thinner, but the amount of available screen real estate shrinks in tandem. Think about a typical usage scenario: A worker may be viewing an Excel spreadsheet, while their e-mail client, Web browser, IM application, and Windows Explorer windows are running in the background. To get from one to another requires switching active windows and taking the focus away from critical work. Likewise, a worker who is revising a document may need to switch among the original and new versions. Switching windows makes this a frustrating and time-consuming process. Today I look back at my experiences with increasing my onscreen display real estate and talk about how today's USB powered screens can really give your productivity, and sanity, a boost. Just as Apps and the App Store massively grew the degree to which we use things like iphones in our everyday lives… Amazon is aiming too build a similar type of ecosystem around what it calls Alexa Skills. And that's what I'll be looking at today. Just like apps and smartphones, Alexa skills sit on top of the core functionality of the Amazon devices to offer customized user experiences. And right now there are companies and developers right around the world designing and building skills that you can add to your device to boost its functionality. 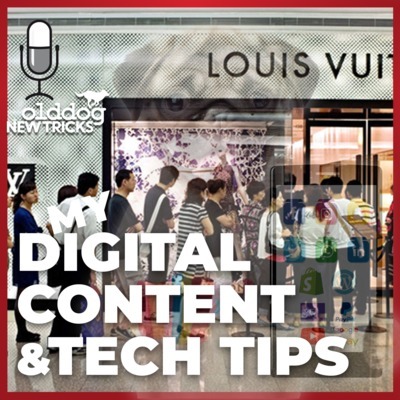 The main areas of development right now seem to be things like petcare, podcasts, news, games, music reviews, health and fitness, sports info, movies and TV and travel… all of the usual suspects you’d find in an App store. If you are looking for a no fuss way to start a business that is minimum cost and minimum risk… a easy way to get up and running is via drop shipping. in this episode I explain what drop shipping is… and how it works. Using the example of a person who wants to start a no risk business selling custom tshirts online... and using a real world drop shipping service. I’ve been overseas travelling in Asia with my son for the past two weeks – visiting China and japan. It’s been a great trip for me… but there have also been great business learnings for me along the way. I want to tell you about something we did in Kyoto in japan – where we went to visit a local ramen cooking school run by a couple of local girls in the suburbs there. This isn’t just about cooking or eating – its entertainment and experiences – and that's important ihow you define your market Here are some links to a few of the online activities the ramen school have implemented to maximise shareability for their customers... https://www.youtube.com/watch?v=kpWqH... https://www.youtube.com/watch?v=cFo4Q... https://www.cookly.me/by/ramen-factory/ https://www.facebook.com/RamenFactory... https://www.instagram.com/ramenfactor... http://www.fireramen.com/ramenfactory/ https://en.tripadvisor.com.hk/Attract... https://www.tripadvisor.sk/LocationPh... http://www.deepkyoto.com/ramen-factor. 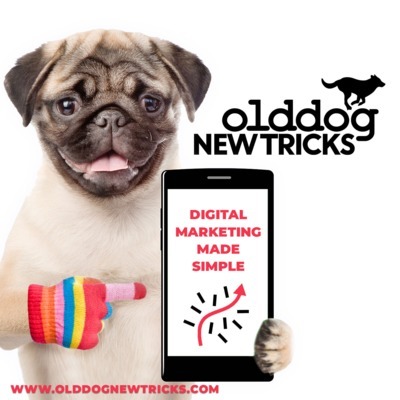 A quick digital marketing case study. I’ve been looking at examples of where digital marketing has played a strong role in business performance. But, as much as you can use digital to boost your business, social media can be a two-edged sword. Despite obviously having a pro Digital Marketing team, Obike, a bike sharing service, is a good example of how poorly handled social media coverage can act like fuel to the fire to burn a business down. Its important the you put in place a strong plan at the beginning of your marketing efforts to handle social media if a downturn occurs and so you dont end up dealing with issues on-the-run. Build your confidence in meetings. A light-hearted look at my universal “Get out of Jail Free” card that you can use in any business meeting to make you look wise and engaged in the topic — even if you don’t really understand what they are talking about. It may sound simple/stupid but give it a try and you will be gob-smacked at how well it works. This is my first weekly update on the progress I've made so far in building an online brand from scratch. This week I focus on the core website build and setting up the linkages to the different social media platforms I'm using. Plus Google AdSense and Google Analytics. And some learnings about content creation. If you were born in the 60's, 70's or 80's then your are a part of Generation EX. 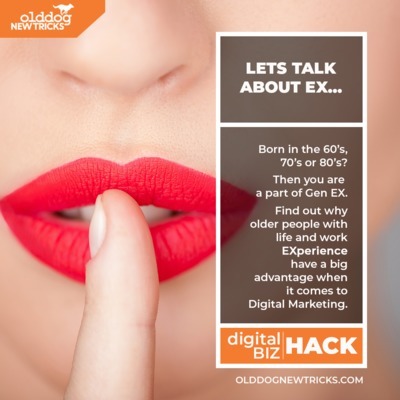 The EX is for the work and life EXperience you have built up over the years. Contrary to popular belief, Gen EXers are in a brilliant position to leverage digital marketing. I'm using my 30 years of global marketing experience to build an online brand from scratch. And I'd like to invite fellow Gen Exers to join my journey as I show you what was hard and what was easy along the way. All in practical bite-sized chunks - free of jargon and techno-babble. In this podcast I'm taking a deep dive into what topics I'm planning to cover in the year ahead. I'm talking about how you can use digital marketing to build an e-business to deliver an income stream when you are retired. 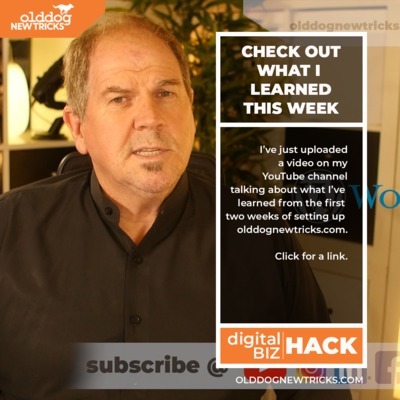 My plan is to build a digital brand from scratch, based on my decades of experience in traditional and digital marketing, and share my journey with you so you can discover what's hard and what's easy to do. I've spent most of the day linking some SEO or search engine optimisation to my new site now that it is up in live. 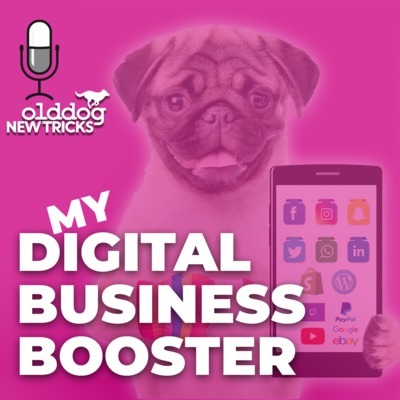 In this podcast I'm looking back at some of the learnings from the process to give you some advice on what to consider as you are planning your online presence and Digital Marketing. Going live with my website - What I've learned so far. For the past 3-4 weeks I've been working on my core website, setting up identities on the different social platforms, and also linking them all together. Now I am ready go live and start testing in the real world. So, this podcast takes a look at some of the main things I've learned during the setup phase. Today I'm reflecting back on the past week and looking at what has been hard to do and what has been easy to do in the setting up of my YouTube identity so far. The good news is there are lots of things that are really easy but like anything in life there are things that are a harder than you would expect. And the hardest thing is the content so this is what I will talk about today. The reality is that you don't have to love social media to be a digital marketer. In this podcast I look at the numbers that relate to how people use social media to come to a point that it's more important to make sure that the social media platforms that you use are relevant to your consumer group rather than being platforms that you like or dislike. In this episode my aim is to try and give you a feeling for the road that you will walk down in building your digital marketing strategy and implementation plan. It's very broad at this point but the aim is to just give you a directional feel rather than a definitive feel on everything. I've discovered a great function in Anchor that allows you to add in a friend or find a like minded co-host at the push of a button. I'm really keen to give this a try. This week I'm setting up my Instagram business page - which raises the question of what content to put on it. During the week I've been looking at ways to increase the efficiency of posting across ;lots of different things - like Facebook, Twitter and LinkedIn. I've be testing a WordPress add-on called Jetpack to post to all of them at once. Much easier. I'm doing a practical test of recording my podcasts on my mobile versus my editing suite and pro mike at home. It actually sounds pretty good - and Anchor let you add some ambient music for a bit of a lift. much easier down the track to just use my mobile on the go. It's the end of the first week of setting up from scratch. 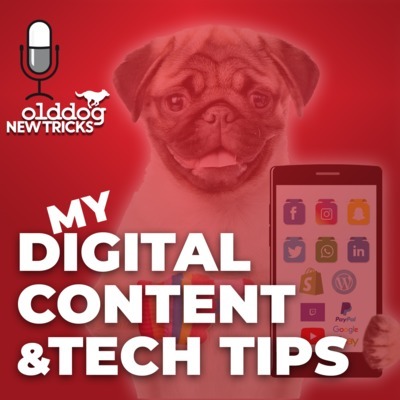 This podcast talks about the importance of two things: First, getting a good system in place to record all of those logins and passwords and site settings BEFORE you begin. The second is that it can be difficult to set up your business identity online and keep it SEPARATED from your existing personal identity across many of the social media platforms. Some suggestions on this!